UNA had its graduation ceremony on Saturday. As an UNA alumni I got quite nostalgic about my years at the university, so I dragged my husband around the campus, pointing out locations of various fond memories and hijinks. “That’s where a gang of squirrels chased us down”, “here’s where a weird, religious zealot would stand and scream at students passing by”, “there’s where the LARPers would practice their sword fighting skills”. You know, typical college stuff. 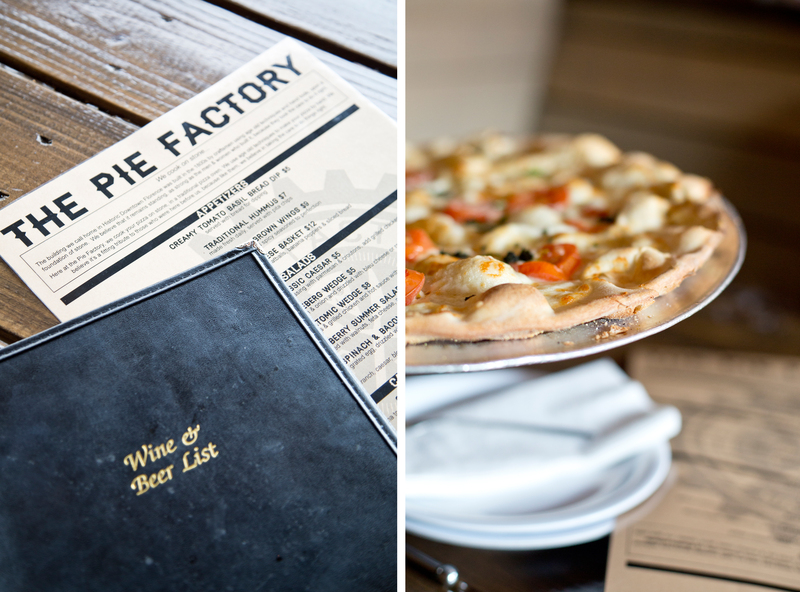 After several hours of walking down memory lane, we made the short trek to The Pie Factory. I was actually quite jealous of the current UNA students, as the downtown Florence area is completely different from when I was a student. There are numerous wonderful stores and restaurants that we would have killed for back in the day, including The Pie Factory. 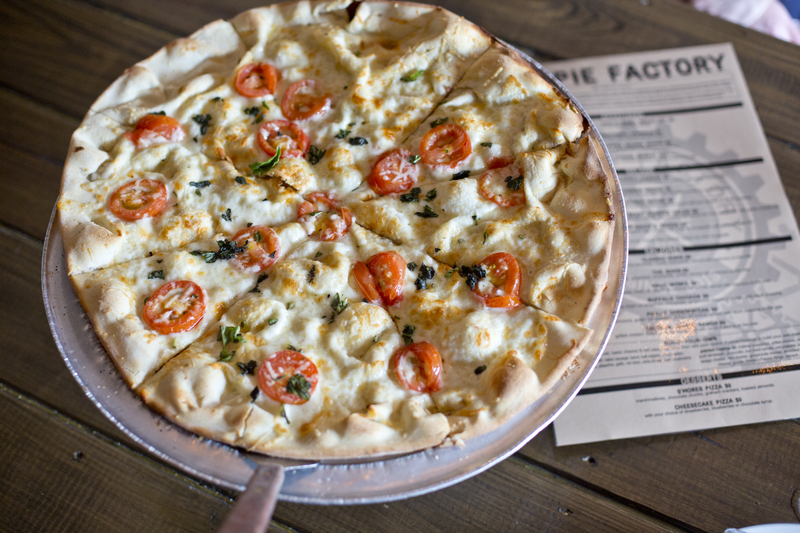 The Pie Factory opened their doors in 2013 with the goal of creating place that served great New York style pizza in Downtown Florence. 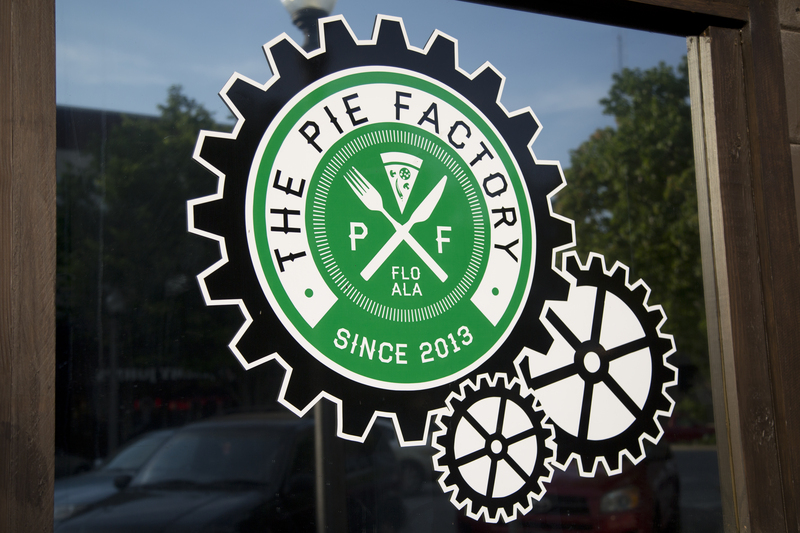 A mighty tall order, but one which The Pie Factory does very well. We opted for an early dinner and arrived to the restaurant around 5:30. 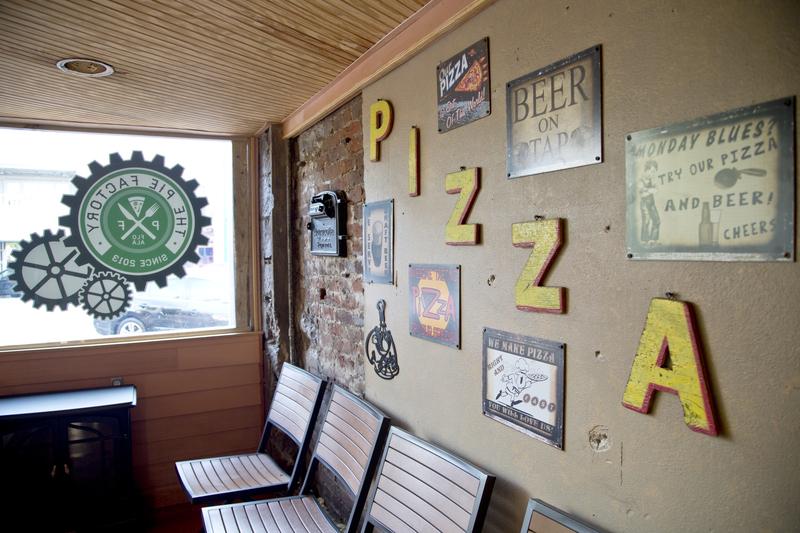 The restaurant was pleasant, with fun pizza themed details festooning the walls. The general ambience was lively, but laid-back. It weather was perfect, so we sat in the outdoor seating area. 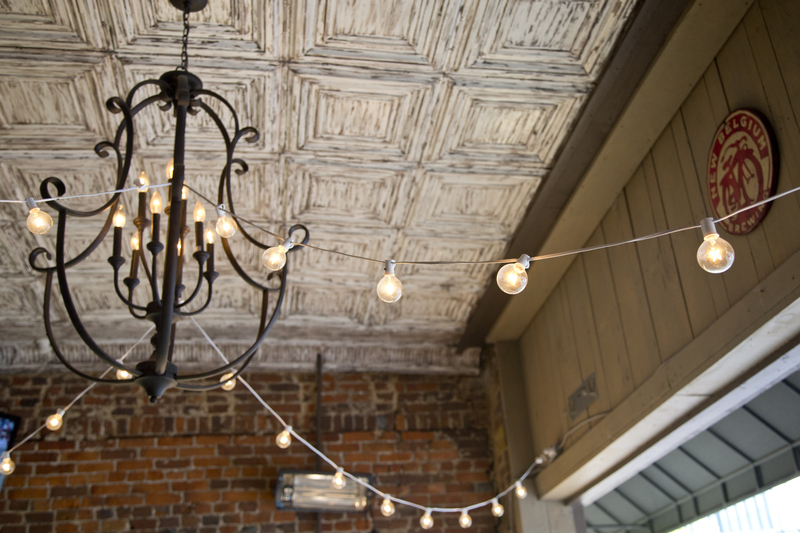 The outdoor veranda had a beachy feel and made me reminiscent about white, sandy summer vacations. 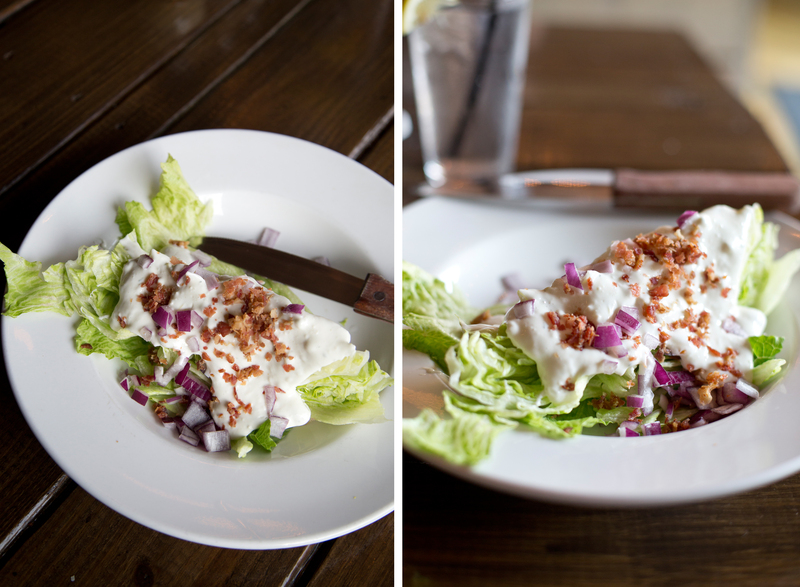 Olivier and I split a wedge salad, which was just they way it should be: simple and fresh. I knew we would be ordering pizza, but I still agonized over the menu for quite a while. There were numerous interesting choices such as The Funky Chicken, which included gouda cheese and another pizza (I can’t remember the name) which included pork tenderloin and peaches. 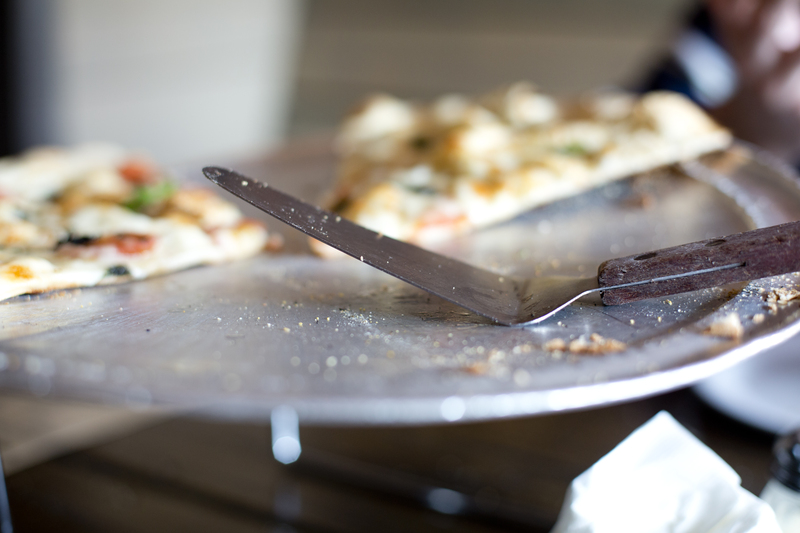 The Restaurant Week Special is the Arthea’s Franklin, which is a spicy Buffalo chicken pizza, including ranch glaze, grilled chicken, jalapeños, Frank’s Hot Sauce, red onions, chives and both gorgonzola and mozzarella cheese. I did get to sample a slice of this at the Kick Off of Restaurant Week and it was quite delish, but in the end I went super basic and got The Sweet Marguerite. Shortly after we got our pizza a little bird perched across from us, hoping we were messy eaters and he could bag a few scrapes. 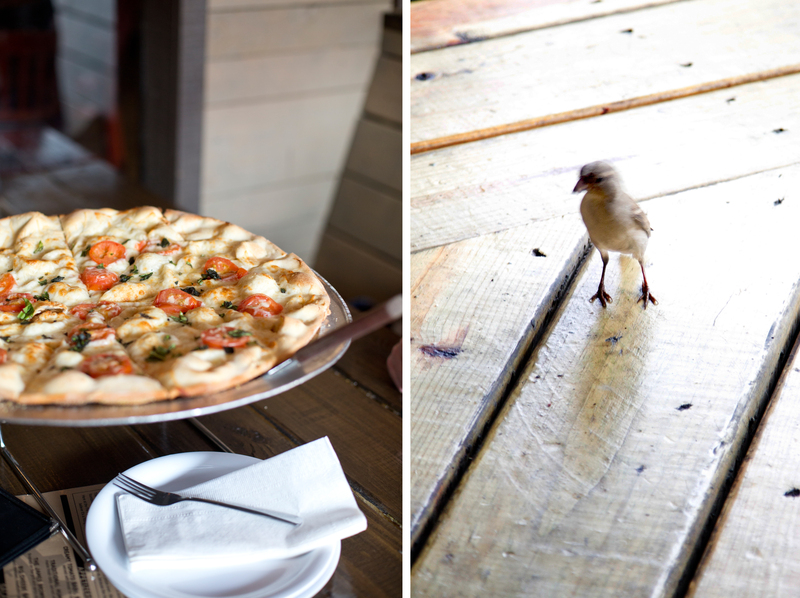 See even the birds love The Pie Factory. The restaurant also has an extensive collection of beers. 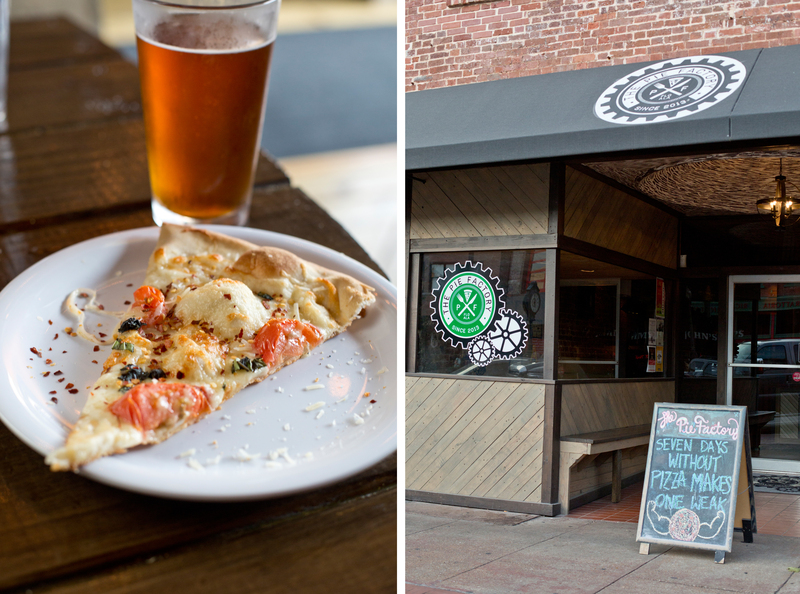 I was happy to see a lot of local brews and ordered Straight to Ale’s Monkeynaught to pair with my pizza. In the end we all enjoyed our food: Olivier, myself and the bird. Not that we’re messy eaters but I fell for the guilt trip and tossed him a bit of crust. The bird, not Olivier. I am looking forward to going back and trying something more adventurous, perhaps the Funky Chicken. 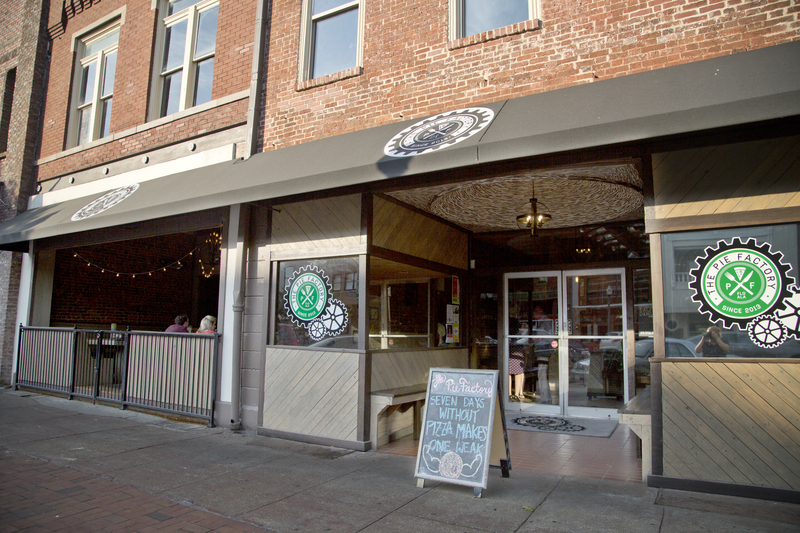 Disclosure: I was invited to participate in Florence Restaurant Week by Florence Main Street. My hotel was paid for by them to make it easier for me to participate and I received a $20 gift card from The Pie Factory. I paid the remaining balance out of my own pocket and all thoughts and opinions about the restaurant are my own. 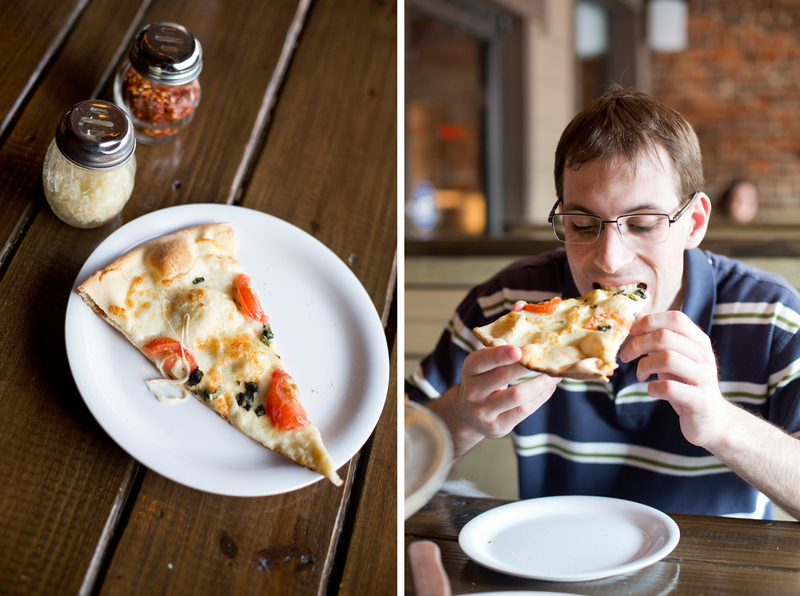 Categories: Food Review | Tags: #DineDowntown, #DowntownFlorence, #FRW2015, Craft Beer, dineflorence, eat local, Florence, florence main street, food review, pizza, sarah belanger, Straight to Ale, The Pie Factory, The Sweet Marguerite | Permalink.